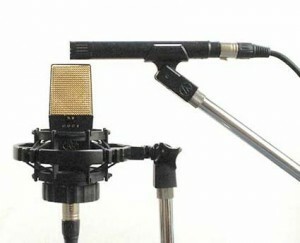 Stereo microphone recording techniques are commonly used in the recording process and can offer great flexibility and advantages to recording specific elements. Imagine you have landed a session in a church recording a 15-piece choir for example, you are hardly going to set up 15 individual microphones and lug along a desk or interface with enough channels for the session, it’s unrealistic, unnecessary and a huge amount of work. Employing one of the many different stereo recording techniques can be much simpler, faster and you can achieve high quality recordings with minimum mics. Below we are going to go through some of the popular stereo miking techniques and how to apply them to your own productions. As with any type of recording, trial and error is a common way of achieving what it is you’re after, for instance the Blumlein Pair might sound better to you than the Spaced Pair for heavy rock drums, but for a jazz ensemble, the spaced pair could work better. We will provide you with the theory behind these methods and leave you to experiment! As it says on the tin, a spaced pair is exactly that, a pair of two microphones usually cardioid or omni-directional that are spaced apart, as a rule of thumb with a 3:1 ratio distance from the sound source. This will help with phase cancellation problems because if the mics are not spaced the correct distance you can run into all sorts of problems. 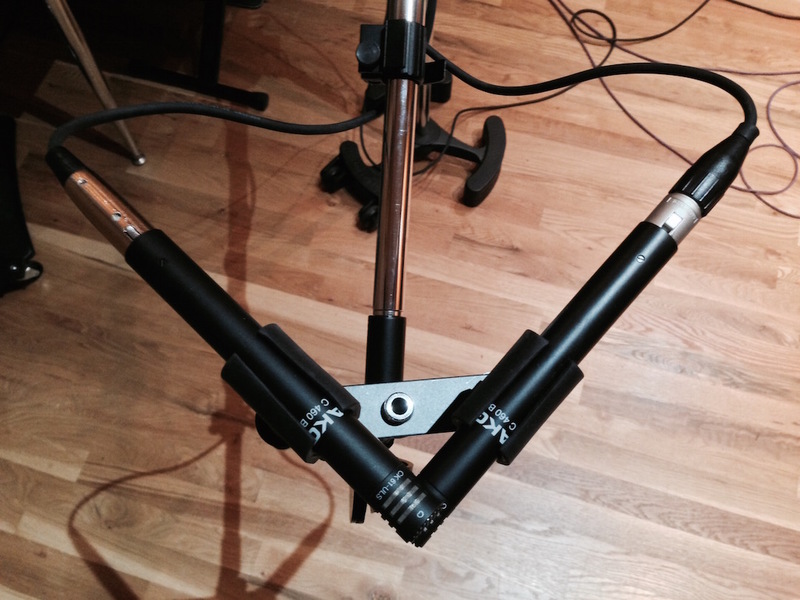 This method of stereo miking can be very effective when recording musical ensembles such as a jazz quartet or a string section of an orchestra. It is also a very effective method of recording drum overheads because of the area that the spaced pair can cover, and when using omni-directional mics you can pick up a good portion of the room which can be invaluable to recording drum overheads. It has been known that some producers employ this method along with just a kick drum mic and snare mic! The results can be very interesting! The ORTF technique was actually created in France in the early 1960’s by Radio France. 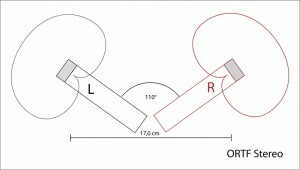 This stereo recording method uses two cardioid microphones (ideally the same mic) that are set at angles of 110 degrees and the mics themselves are roughly set at a distance of 17cm apart. The ORTF is another popular method of stereo recording because of the realistic stereo sound you can achieve and is considered to be similar to how the human ears perceive sound. Preferred to the X/Y method for larger stereo width recordings ORTF can still retain good mono material. Sounds good with recording drum overheads, choirs and acoustic guitars. Similar looking to ORFT but very different at the same time, the X/Y technique incorporates two-cardioid microphones angled at 90 degrees, usually one placed on-top of the other with the capsules at the exact same point or as close to each other you can get. 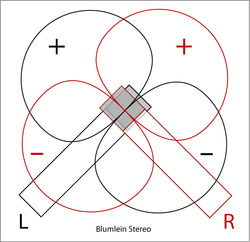 A variation of this is the Blumlein technique, which employs the same idea and method as X/Y, but the microphone polar pattern is different, instead of using cardioid microphones, the Blumlein uses bi-directional (figure-of-8) microphones. 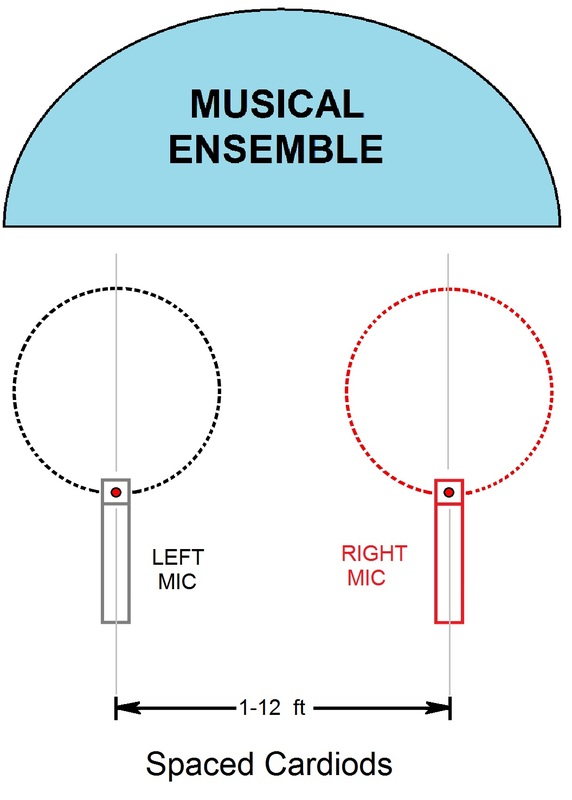 Another commonly used stereo recording method is Mid-Side, for the MS technique there is two mics used and they are placed as close as possible together, similar to our X/Y method. 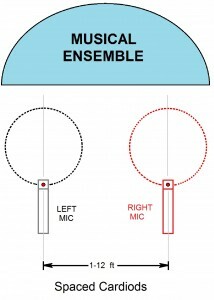 The Mid microphone is aimed directly at the sound source and is usually a cardioid microphone. 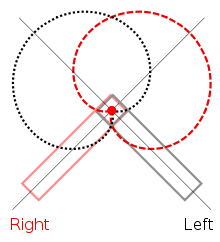 The side portion is a bi-directional (Figure of 8) microphone that is used to pick up the sound from, you guessed it, the sides. When we are recording using the MS technique we have a few changes to make in our DAW. First off we have our Mid microphone on one channel, and our Side mic (Figure of 8) on another. Then we make a copy of our Side mic in our DAW so now we have two tracks of our Side mic. Then we pan the original Side track hard left, and pan the copied track hard right and flip the phase on the copied track. The results can be surprising, think of it as we are getting our mono source from the Mid microphone and then we are getting a stereo recording from the Side microphone because of the adjustments we have made in our DAW. One of the main benefits or using MS is the flexibility it provides, raising or lowering the ratio of Mid to Side channels will create a wider or narrower stereo field depending on how much you apply, which means we can alter the sound of your stereo recording after its been recorded, fairly handy! We hope you enjoyed this short explanation of stereo mic techniques please feel free to share this post and follow us on all the social mediums! Check back soon for more tutorials, tricks and industry info!